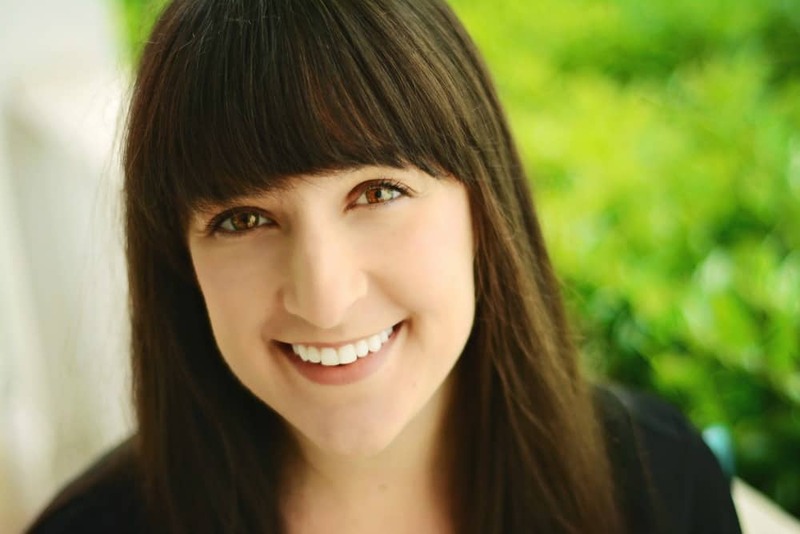 March 20, 2019 By Liz 11 Comments Note: This post may contain affiliate links. 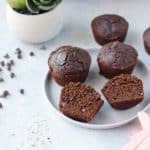 These chocolate mocha vegan muffins are insanely chocolatey, no one will ever guess they’re oil-free and vegan! 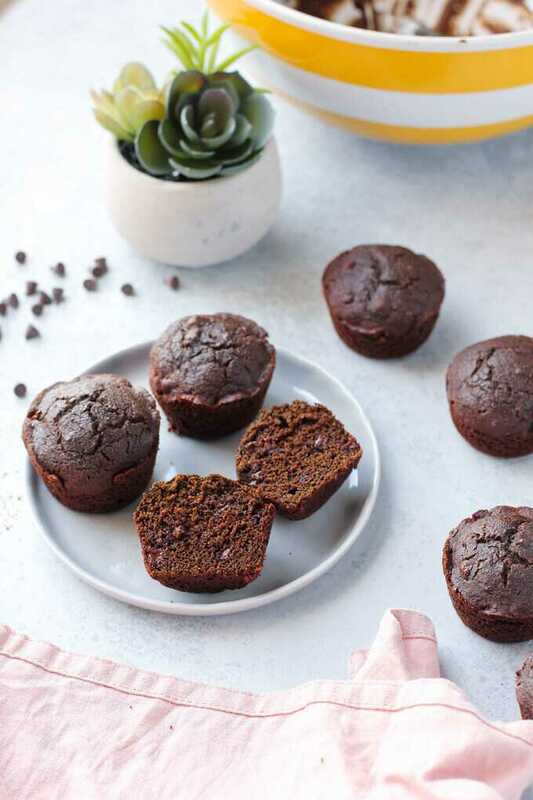 The other day, I found myself craving chocolate & espresso… so it seemed like a good day to make chocolate mocha muffins, a delicious treat that just so happens to be vegan. YUM. I originally came up with this recipe way back in 2010 when I first gave up dairy and eggs. I was learning how to bake vegan treats and these ended up being on repeat! The coffee helps amplify the chocolate flavor and these almost taste like a brownie bite! 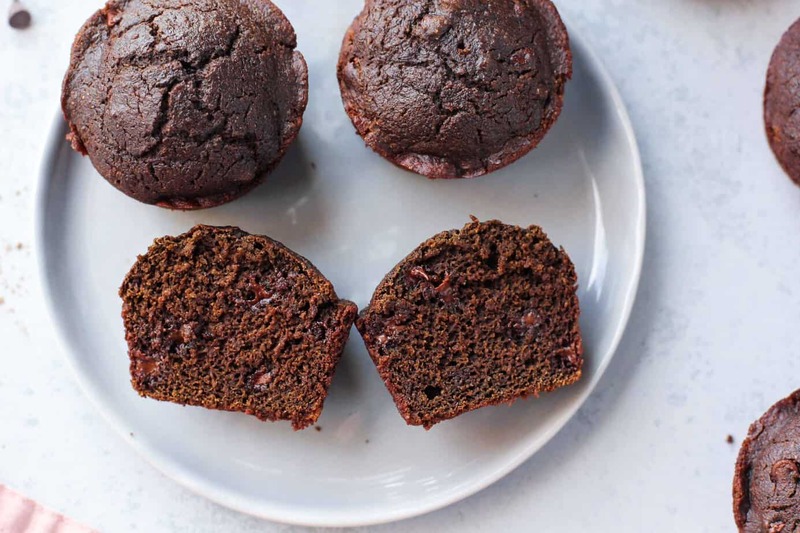 There are plenty of flour options to try with these muffins. My personal favorite is 1/4 cup garbanzo bean flour and 3/4 cup whole wheat flour. It still has a light and fluffy texture but it has a lot more protein and fiber. 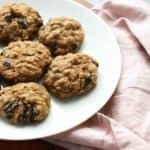 If you don’t have chickpea flour, you can make these with 100% whole wheat flour or all purpose flour. You can also do a blend of those two if you like. 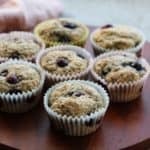 All purpose flour will produce lighter, more tender muffins. But if you want to keep these really healthy, go for whole wheat. 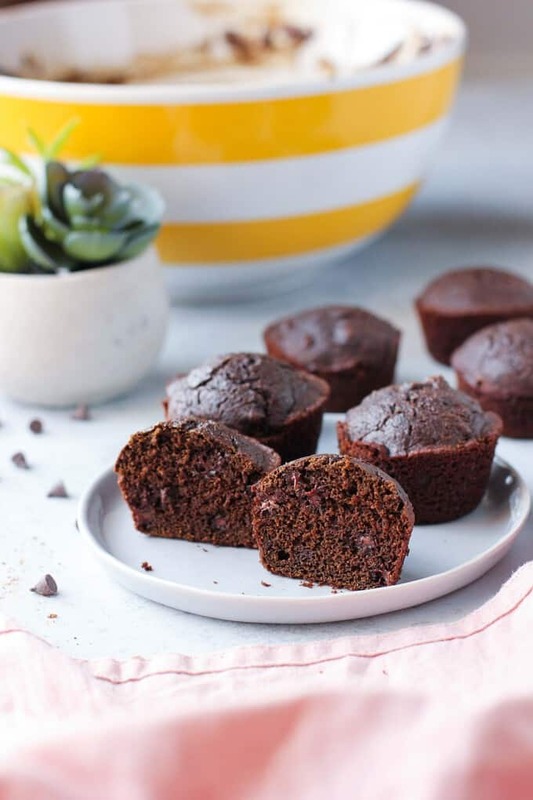 I like using mini chocolate chips in this recipe because it’s easier to get a little bit of chocolate into every mini muffin. If you can’t find mini chips, feel free to use regular. 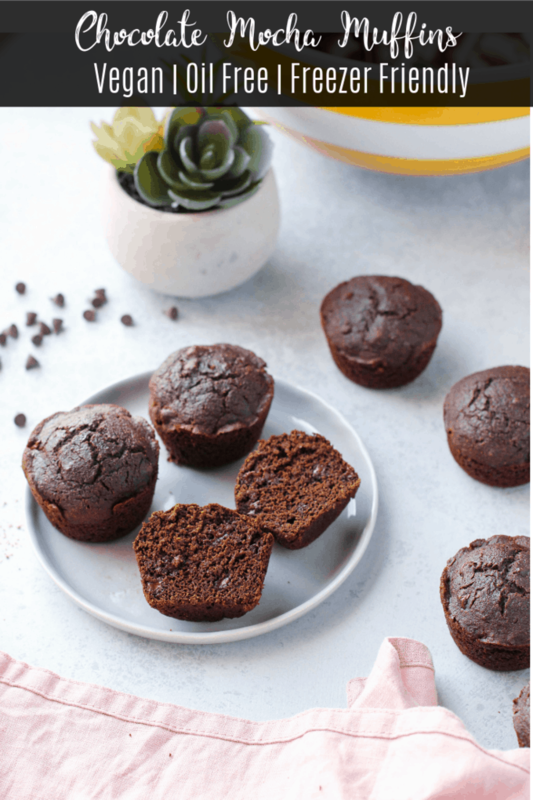 I highly recommend baking these as mini muffins rather than larger muffins. It’s easier to get them done on the inside while still getting a moist and tender texture. Larger muffins tend to dry out. Then gently fold in the applesauce, coffee, and vanilla. You want to mix it until you don’t see streaks of flour anymore, but be careful not to overmix. 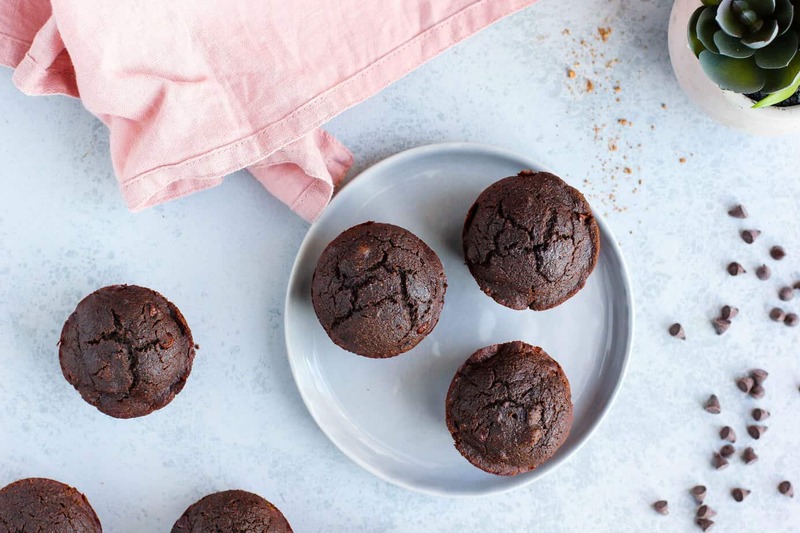 Once everything is combined, you simply drop rounded tablespoons of batter into a mini muffin pan. It should make about 18 mini muffins. These are perfect for snacking! They taste like dessert but they’re healthy enough for a quick breakfast on the go! Spray a mini muffin pan with non-stick spray. 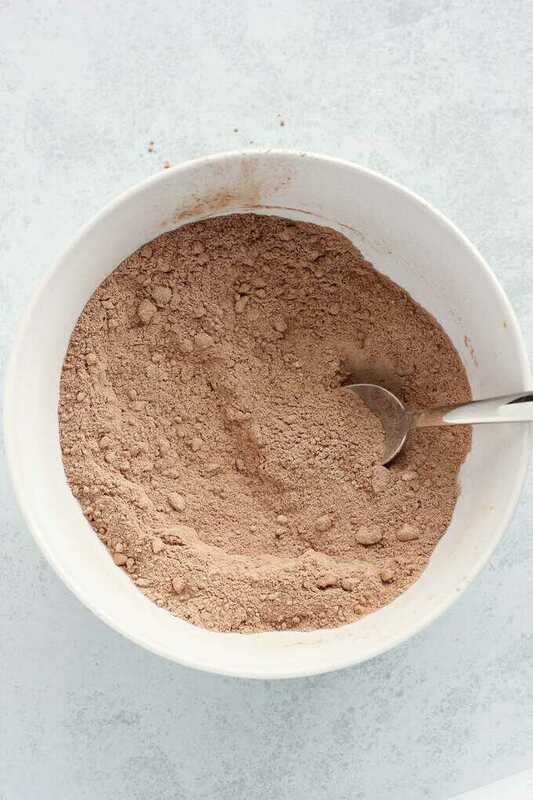 Combine the flour, brown sugar, cocoa powder, baking powder, baking soda, salt, and chocolate chips. Gently fold in the applesauce, coffee, and vanilla. Mix until just combined and there are no large streaks of dry flour. Be careful not to overmix. Bake for 10-11 minutes or until a toothpick comes out clean. (You’ll have to dodge chocolate chips to do a toothpick test!) Be sure not to overbake or the muffins will be dry. Let cool for 2 minutes then remove from the muffin tin and let cool on a wire rack. Note: Store these muffins in an airtight container. Be sure not to overbake. Make sure your coffee is cooled before mixing into the batter, or it will melt the chocolate chips! If you use whole wheat flour and chickpea flour, each of these little treats will have a decent amount of fiber. And let me tell you, vegan or not, these can knock out a chocolate craving like nobody’s business! 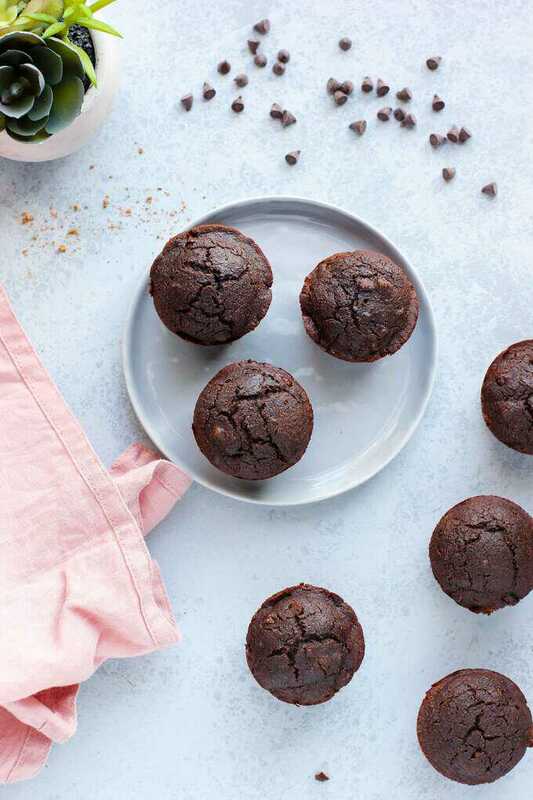 Freezer tip: You can store these muffins in the freezer to make them last longer! To thaw, simply microwave for 10 seconds and enjoy! 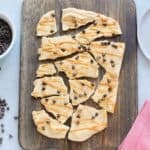 It makes the chocolate chips nice and melty. This recipe was originally posted in December 2010. Updated March 2019. 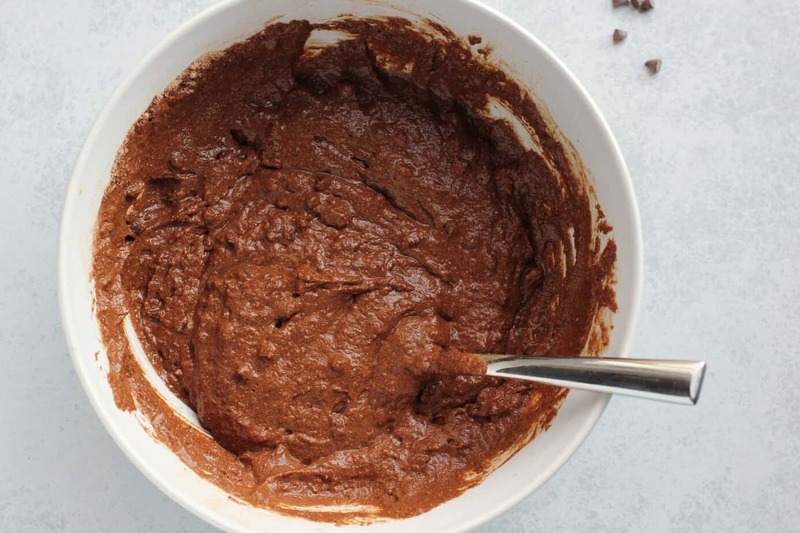 These look like great little chocolate morsels that only take a few minutes to make. Very cool. I actually got a free sample of this bar somewhere… where I dont know… and tried it on the weekend, I actually REALLY enjoyed it! Just ate one of the ones you posted me, delicious!!!! i made this batter and added a flax egg+vinegar, then turned it into waffles for mothers day. topped with bananas, strawberries, and a chocolate ‘pudding’/sauce (banana, cocoa, vanilla, stevia, soy yogurt and almond milk in food processor). The result: an amazing, decadent mothers day breakfast that my mom said (and i quote) were “sooooo goood!!! best breakfast ever!” at least 10 times. and its only 10:30 am. That’s so awesome!!! I’m glad it turned out well 🙂 I’ve made those muffins for a few brunches and they’re always a hit!!! I hope you had a great day with your mom! I am going to try these soon. Loved the recipe with chickpea flour.. looks so delish!! Yay! I hope you like them, Swati! 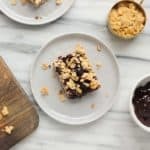 I love finding a a vegan recipe that looks good and actually has all ingredients that I can eat. These look really good and I can actually make them!